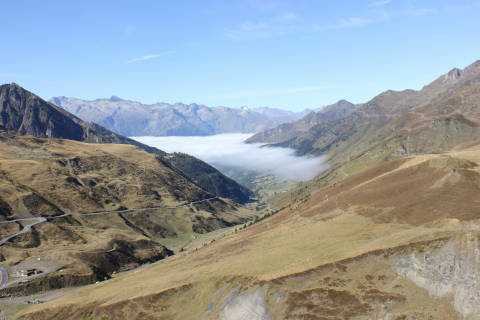 The Col du Tourmalet is the highest road in the Pyrenees, reaching 2,115 metres above sea-level at its highest point, in the mountains south of Lourdes and Bagneres-du-Bigorre. 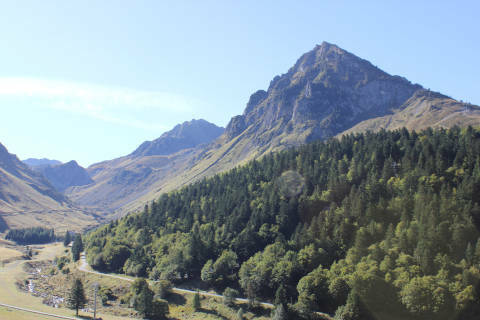 The road that crosses the col can be followed from either the east, starting from Sainte-Marie-de-Campan, or the west starting from Luz-Saint-Sauveur. En route it passes through some of the most stunning mountain scenery in the Pyrenees. From the col you can also access the Pic du Midi, one of the highest peaks in the Pyrenees, and the Tourmalet ski region (the largest in the Pyrenees). If it weren't for the Tour de France the route would doubtless lack its fame and notoriety. Particularly in the world of cycling the Col du Tourmalet is one of the most famous mountain passes, in particular because of its regular appearances as a mountain route in the Tour de France - in the century that the Tour de France has existed, the col du Tourmalet has featured more than 70 times. First crossed by the Tour in 1910 when the road was little more than a rough track it is also one of the most challenging hill climbs in the Pyrenees, and many hopes and aspirations of winning the Tour have been made and lost on the steep road that crosses the pass. 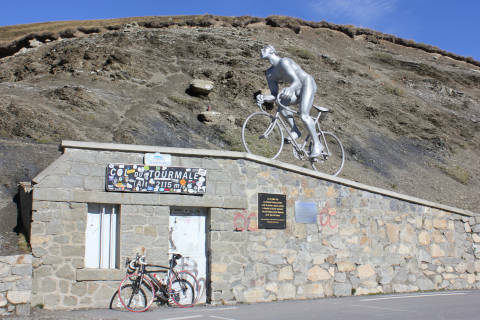 If you are planning to cycle the Col du Tourmalet yourself you are perhaps wondering if one direction is easier than the other? The road from Luz-St-Sauveur (starting at 710 metres above sea level) covers 19km to reach the col, almost all at gradients between 7% and 10%, while the road from Sainte-Marie-de-Campan (starts at 850 metres above sea level) and takes 17.2km to reach the summit, at similar gradients after a slightly gentler first few kilometres. The second of these routes passes by the ski resort of La Mongie about 5km before the summit, and is generally agreed to be the slightly easier of the two, but cyclists looking for an easy option won't be coming here in the first place I imagine! 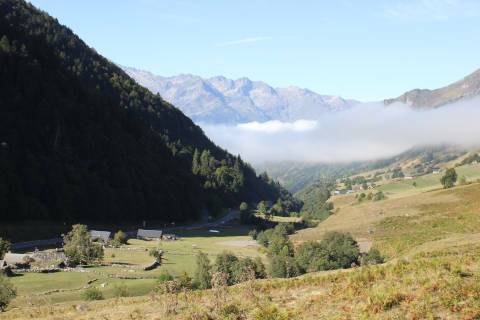 There is a great deal to enjoy in the Pyrenees National Park around the Col du Tourmalet for hikers, cyclists, skiers - and those who prefer to admire the scenery from their car! The trip up the Pic du Midi is a highlight, and the town of Arreau to the east is one of our favourite towns in this region.